To help attract attention to teen eating disorders and food addictions, I wanted to help parents with some general tips on how to spot eating disorders in their children. Over the years, most of the talk about eating disorders in teens has focused on anorexia and bulimia, typically blamed on unrealistic body images portrayed in the media. Increasingly however, the discussion has turned to the opposite end of the spectrum – compulsive overeating and food addiction. As the obesity rates in American children continue to skyrocket, teen overeating and addiction to food are becoming serious concerns to many parents. First let me say, it’s no secret that young adults to eat a lot, particularly during growth spurts. Unfortunately it’s what can make identifying compulsive overeating and food addictions in teens and young adults difficult. Hides food – When you’re cleaning your teen’s room, are you finding food and food wrappers stashed in strange places? I’m not talking about a Snicker’s wrapper on her dresser that she forgot to throw away. Finding food that’s been deliberately stuffed under covers, crammed on the top shelf of the closet or hidden behind her TV could indicate binge eating (and the embarrassment that follows). Avoids eating with others – If your daughter never seems to accept invites from her friends to hang out at the food court or if she has a history of cancelling plans where food may be part of the outing, she may be avoiding eating with others because she’s ashamed of the amount of food she eats. Emotional eating – Does your teen find comfort in food when she gets a bad grade, fights with her brother or feels rejected by someone at school? 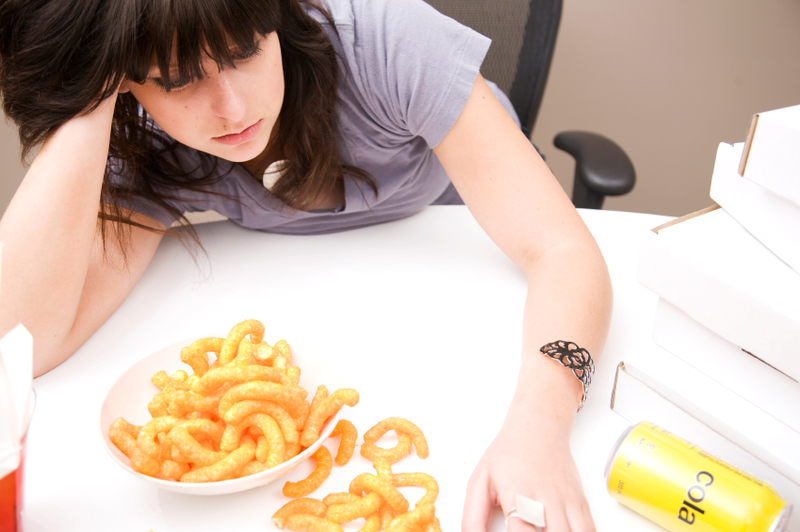 That may indicate a pattern of emotional eating in response to stress, which is a significant underlying factor for compulsive overeating and food addiction. Creates unexpected drama – I’ve raised three daughters, so I know firsthand that drama is just part of having a teen in the house. 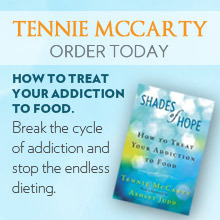 But does it seem like your teen is creating drama simply to turn to food as a coping response? For many compulsive eaters and food addicts, any crisis can justify emotional eating and if there’s not a reason to eat, they’ll create one. Seems depressed or embarrassed – Whether it’s compulsive overeating or anorexia, people with eating disorders commonly share the same feelings of depression, guilt, shame or anxiety, because they’re ashamed of the amount of food their eating or the changes (gains or losses) in their weight or body shape. I’ve largely talked about daughters here, but that does not mean that our teen sons aren’t at risk of the same behaviors. To be crystal clear, boys can and do have the same eating disorders that girls do. Boys can be compulsive overeaters and food addicts, and they can suffer from anorexia and bulimia.